Malcolm Thorpe is a huge Brighton & Hove Albion FC fan and a massive drop4drop supporter. Malcolm heard about us when we featured in the clubs program after working along side Albion in the Community back in 2011. Malcolm’s passion for supporting charities as well as his background, he worked for 21 years in the water industry, lead him to get heavily involved with our work and he has never looked back! 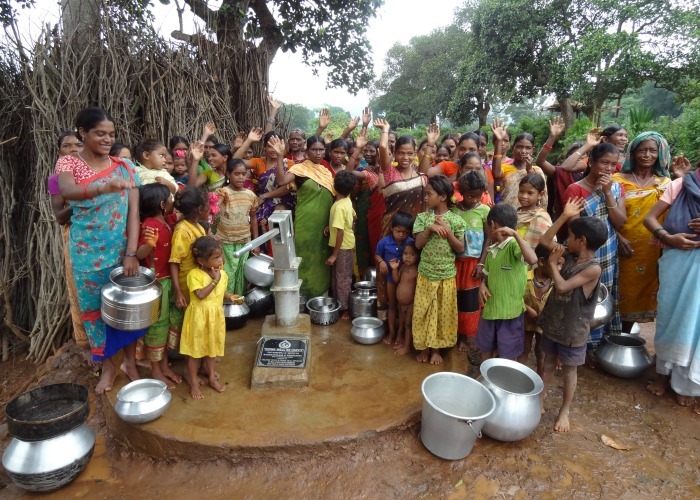 Over the years Malcolm has given over 10,000 people clean water through projects in both India and Africa and is giving a further 2000 people access to water in our latest round of projects. He says his dedication to drop4drop has been spurred on by the teams passion and compassion and he is always impressed by the outcome of the projects. 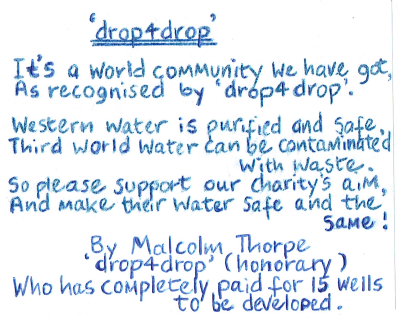 He believes that supporting drop4drop is not only an effective use of his money but an investment in helping the poor and vulnerable with no financial gain to him self as well as a way for him to continue his involvement in the water industry. Thanks so much Malcolm, you are a drop4drop legend!